Imagine Hindus, Muslims, Christians, Buddhists, Jews, and Atheists living harmoniously together? 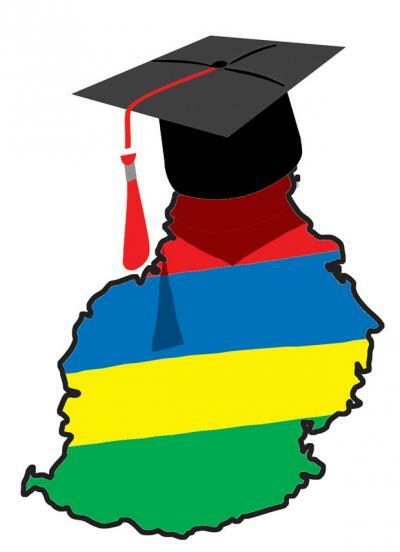 Welcome to the Republic of Mauritius. 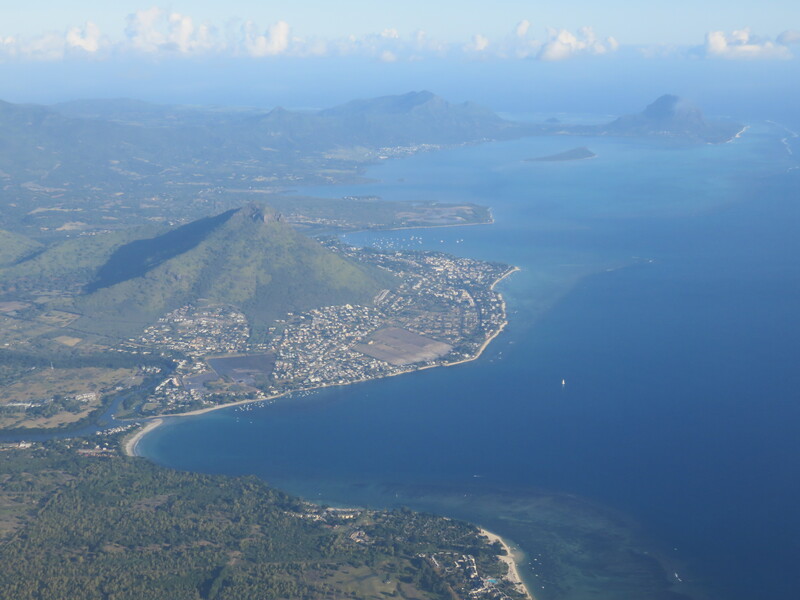 A four-hour flight from Johannesburg east past Madagascar and we landed on the island of Mauritius. Created by volcanic activity over 8 million years ago, it emerges from the Indian Ocean with spectacular mountains and white sandy beaches overlooking coral reefs. Mauritius is striking in terms of its beauty and also the peaceful co-existence of almost 1.3 million people who are multi-ethnic, multicultural, multi-religious and multilingual. The island seems larger than it is, yet only has a surface area of about 2,000 square kilometers and is 65 km long and 45 km wide. Don’t assume this island paradise would automatically be peaceful. Peace is a verb and Mauritians actively choose to create a peaceful nation. They have earned their ranking as the most peaceful country in Africa again in 2017 and as one of the ten countries worldwide deemed free from conflict. What are some of their choices that we can also utilise for creating peace? One is political and economic freedom. Mauritius is known for democracy and freedom; their current president is the first female to win this office – Ameenah Gurib, a biodiversity scientist. 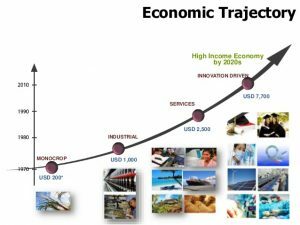 When Mauritius lost its major source of income through sugar exports, it strategically branched out to build a strong economy, now having one of Africa’s highest per capita incomes. For example, in 2006 the government lifted the ban on distilling sugar cane juice to produce rum, and Mauritian rum entered the global market. Another focus is education. Adult literacy is over 90%. Advocates who empower girls, like Nobel Peace Prize winner Malala Yousafzai, will be thrilled to know the female youth literacy rate, like youth literacy overall, is 99%. Driving around the island, I saw lots of learning institutes and academies for all kinds of professions, and specifically those that lead to jobs required on the island. Our perspective about diversity is central. In the video below, an analogy is made that each group, such as racial or cultural, could be considered a fruit – an apple, a pear, a mango – and we do not want to try to make marmalade. Rather we could create a fruit salad, where each fruit retains its own flavour, colour and texture and contributes to the beauty of the whole. There are no race riots here. I couldn’t imagine race motivated brutalities or shootings given how relaxed and friendly people seem toward one another. And the police don’t carry guns. 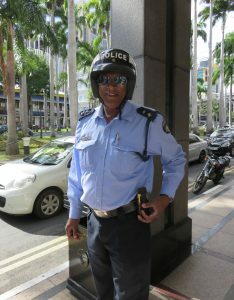 This officer in the capital city Port Louis laughed when I asked him about guns, showing me the radio on his belt. Great leaders honour and promote diversity and the human rights of all. Leaders like Mahatma Gandhi who visited Mauritius in 1912. He is represented in the Peace Park in Port Louis, along with others like Nelson Mandela. As Gandhi said, “No culture can live if it attempts to be exclusive”. I, like so many others, have been warmly welcomed here. What if we were to include and welcome all into our human family, regardless of race, colour, culture, sexual orientation, religion, age, education, etcetera? Does this not seem obvious to you too? Mauritius is far from perfect. It has its problems and challenges, such as drugs and environmental concerns. It is not about idolising it or dismissing it as an anomaly. 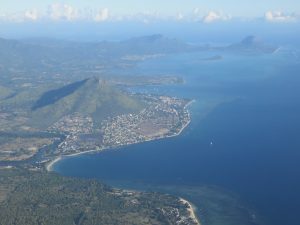 Mauritius is a small microcosm of the world, bridging the east and west, and offering us an example. Other countries are invited to also recognise the right of everyone to be different and to learn how to peacefully co-exist. Someday, soon I hope, we may even recognise the gifts our diversity offers. Evelyn, there’s always so much heart in your posts that I inevitably tear up. Thank-you for telling us about this place. You are so welcome. Thank you for this beautiful acknowledgment. This means a lot to me and inspires me to keep writing! While doing some research for my thesis came across this article of yours. Thank you so much for describing our island the way you did. Love the part on “fruit salad”. While watching so often news about racial wars and discrimination, I am lucky to say that here, even though we are a mixture of different castes, religions, cultures, on a festival day we do wait the moment we getting the cake that we don’t prepare at our place or that dinner invitation where we will eat different kind of delicacies and experience a different culture from ours and believe me when i say, they always come! I’m thrilled you liked this article. Thank you so much Vivi for your comments and sharing your experience. I’m curious about your thesis. Feel free to share whenever it’s available! Best wishes on your studies and beyond. Perhaps I’ll have the opportunity to visit your beautiful island again.